Notes, Commentary, Updates on Caribbean Jazz, musicians, recordings, projects, and events. I recently had the pleasure and privilege of interviewing David Happy Williams for my radio programme, The Chantal Esdelle Caribbean Jazz Hour (streamed live www.100.5wmjxfm Saturdays and Sundays from 12 noon). The following is a piece inspired by my chat with this exceptional, long-standing, sought after bass player. 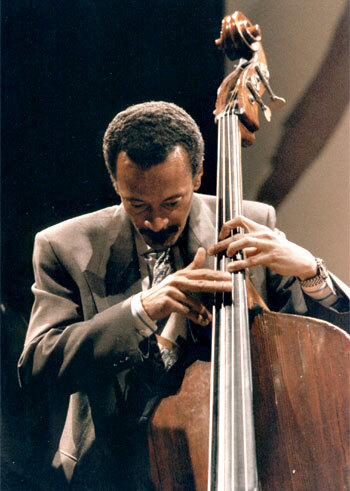 Jazz bassist David “Happy” Williams was born in Trinidad. He grew up in an environment that sent a clear message that music was a part of life, heritage, and identity. His father was the legendary calypso band leader John “Buddy” Williams who also played for another national icon, dancer Beryl McBurnie, and her company while his brother played with yet another national treasure, Andre Tanker. I was extremely appreciative of his acceptance of an offer to be interviewed by me. I knew he would be early for our one o’clock appointment so I made a deliberate effort to get to the studio early. I arrived at 12.50 pm. and found him sitting quietly in the waiting room. He had entered the waiting room with little fan fare so much so that the station manager did not even know that “the” Happy Williams was in the waiting area. This was a perfect example of the man I would interview and that I would find to be gracious, humble, fair, honest, and connected, as well as committed to his art. Williams left Trinidad to join his sister at the London College of Music in 1962. It was clear to him that he was already a bass player his mission now was to continue improving his chops, listening to music, and playing with others. He stayed just a year at the London College of Music. It did indeed lead him to another destination. After a tip from Ron Carter, Williams got a gig with Gap and Chuck Mangione. Since then he has played with Roberta Flack, Donny Hathaway, Donald Byrd and the Blackbirds, Cedar Walton, George Coleman, Roy Haynes, Billy Taylor, Ornete Coleman, Elvin Jones and many others. He later moved to LA where he worked in studio with many artists including Masekela, David Benoit, Jermaine Jackson, and Liberace. I can notice, though, that Happy and this successful bunch also valued their work and the work of others so that even though it was not about money they were able to figure out how they should be rewarded for their work.